Scientists do not know why our immune system fails to protect our body from the influenza virus. University of Sydney researcher, Dr Benjamin Tang, will investigate the causes of influenza pneumonia after being awarded a prestigious and highly competitive Clive and Vera Ramaciotti Foundation Award. A post-doctoral research fellow in the Intensive Care Medicine Unit at Nepean Hospital, Dr Tang works as part of a team of researchers who strive for scientific advancements that can be translated into better patient management and care for the people of the Nepean region. In this research, Dr Tang will investigate influenza pneumonia. This is the most severe form of 'flu' infection and sufferers can have serious, sometimes fatal, consequences for susceptible people, including the young and elderly. With this funding, Dr Tang will look at Plasmacytoid dendritic cells which are immune cells that circulate in the blood. 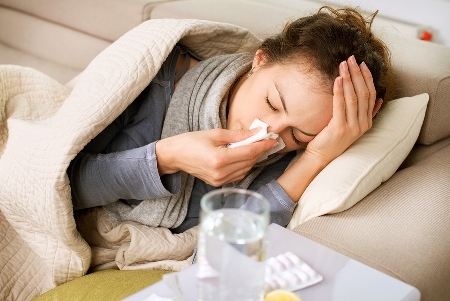 Dr Tang believes that a better understanding of the link between these cells and influenza pneumonia could lead to the development of new drugs to treat the disease and better prepare the Australian health system to deal with future influenza pandemics.